The United Arab Emirates is one of the most developed and wealthiest nations in the Middle East, with impressively high HDI (human development index) figures. Ever since the formation of the complete union in the early 1970s, UAE has been on a path of accelerated growth and development that has withstood the test of time and upheavals in global markets. Even today UAE remains one of the fastest growing economies in the world, perpetually propelled by visionary diversification and development policies. This consistent growth and diversification has influenced the country’s attitudes towards modern technologies and changes in global communication platforms. 95% of the UAE’s population today are active internet users. Emiratis have been quick to embrace most major social network platforms, with Facebook emerging as a clear favourite. UAE has the highest penetration rate for Facebook in the Gulf region, with over 46% of the population using the platform actively. 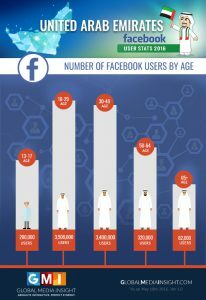 Facebook has a total registered user base of over 7.5 million in the UAE. Of these, over 2 million are women. 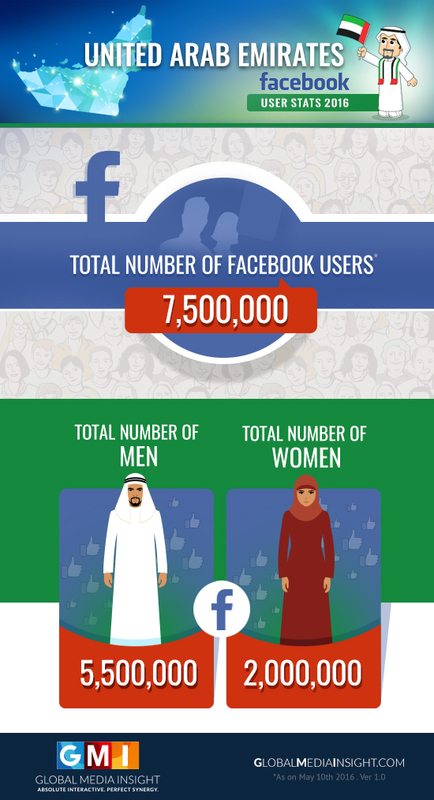 This forms one of the largest ratios of female Facebook users among countries in the Middle East. This is another evidence of how UAE’s prosperity and progressive administrative decisions have led to changes in the country’s social structure. This presents an encouraging trend for the entire Middle East, as exposing women to global communication platforms and social media will definitely contribute to further acceptance and growth of women’s rights in the region. Looking into the number of Facebook users by age, the figures follow global trends to a large extent, with the 18-29 age group contributing the largest numbers with 3.5 million users. This is closely followed by the 30-49 age group with 3.4 million users. But the truly surprising and encouraging figures come from the above-50 age groups who have also taken, in large numbers, to a platform that is more or less considered a young person’s instrument. 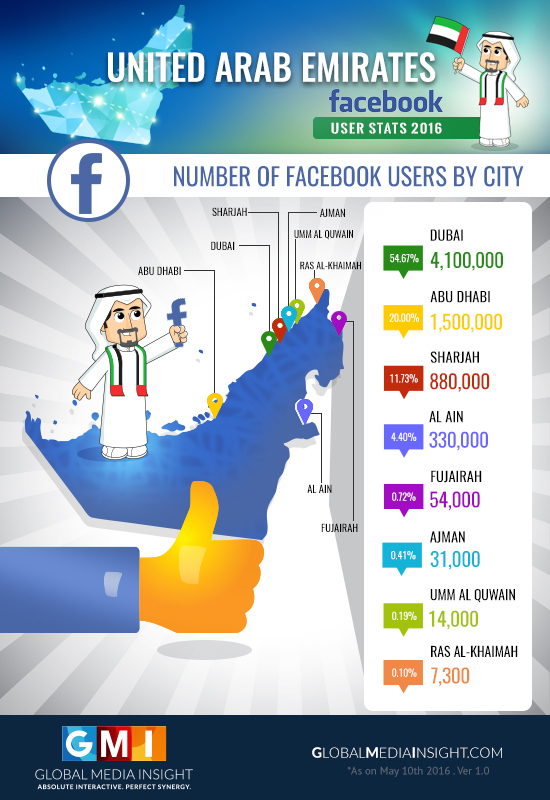 Figures released by Facebook reveal that a significant percentage of users in the UAE come from within cities. Dividing the user base between the eight major cities, Dubai, with the largest population, has the majority of the users at 54.67%. Abu Dhabi is a distant second with 20% of the users. Ras al-Khaimah contributes the least numbers at 0.10%. Owing to the UAE’s rapid growth and the government’s strong push towards digital technologies and entrepreneurship, it seems like Facebook and social media in general will have a major role to play in the country’s future. If you are an individual or a business looking to better connect with your clients in the UAE or elsewhere through Facebook, we, at Global Media Insight, can help you out. With over 14 years of experience in digital technologies and social and digital markets, we excel at driving engagement by optimizing your business’s reachability and connections. Get in touch with GMI to establish effective and robust social media strategies that span platforms and channels.